Developer Investa Property Group, has secured an infrastructure agreement with Sunshine Coast Council for a $4 billion, 5000-lot masterplanned community at Palmview near Sippy Downs. Set to be the home of 16,000 Coast residents, it is anticipated construction work in the 926 hectare master planned area will now begin in the middle of next year. Mayor Mark Jamieson said that during renegotiation of the Palmview Structure Plan Infrastructure Agreement, Council had ensured that Palmview landowners would provide all infrastructure necessary to service the development. “The funding arrangements cover all necessary infrastructure to support this new community, including roads, water, sewer, sports fields, parks and ecological area, without impacting on existing ratepayers,” Mayor Jamieson said. George Theo, CEO of Unity Water which was also a signatory to the agreement, welcomed the development. “We are delighted to have finalised the Palmview Infrastructure Agreement with Council and landowners and now look forward to the emergence of a new community in Palmview,” Mr Theo said. Strategic Planning Portfolio Councillor Christian Dickson said Council listened to the concerns of the community and developers in reaching the agreement. 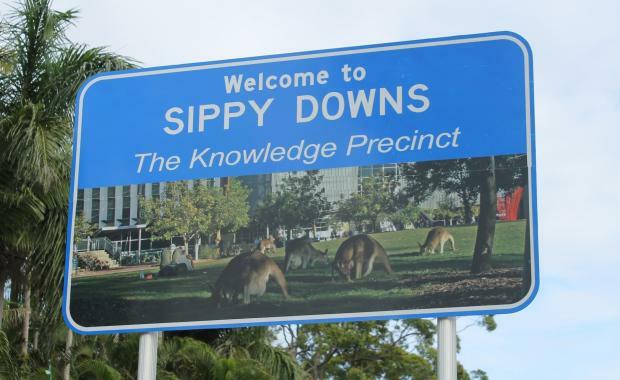 “In submissions to the Draft Sunshine Coast Planning Scheme 2014, the community raised concerns that ratepayers would end up paying for the infrastructure to support the Palmview development,” Mr Dickson said. “This is a demonstration of Council’s support for our local communities as well as the development industry, and how we can work together to achieve positive outcomes. “We have large and small investors and builders who are keen to be part of these developments and they want to see them coming out of the ground. “Council’s focus is on delivering integrated planning and infrastructure decisions to create sustainable communities. "Division 1 Councillor Rick Baberowski said the challenge was to recognise that the market had changed significantly since the original structure plan. “These market changes required all parties to work together to achieve a viable balance between social, environment and transport outcomes. “I believe this new infrastructure agreement facilitates a new and intelligently master-planned community of around 16,000 people (7000 dwellings) to be added to our region,” Mr Baberowski said. Proposed planning scheme amendments for the Palmview Structure Plan Area are currently with State Government for approval. Council expects the proposed planning scheme amendments to go on display for public comment in May 2015. Construction at the Palmview Structure Plan Area is anticipated to begin in mid-2016 with the extension of Claymore Road as the first link into the site. Council is contributing $9 million to get construction underway, with this seed funding to be paid back with interest by the developers over the next three years.